For the best furnace installation in the Seattle area, or furnace maintenance and service, call Fox Heating & Cooling Specialists. Our knowledgeable team makes it easy to choose the right furnace or full heating system to fit your comfort needs and budget. Fox Plumbing & Heating operates in Seattle and Greater King County, serving areas from Kent to Bellevue, Renton to Sammamish and beyond. Check our service map and call Fox Plumbing & Heating to schedule your furnace consultation or service appointment today. Or fill out the contact form on the right side of this page, and we’ll call you! Whether you are using a stand-alone furnace to heat your home or combining it with a heat pump system, Fox has a great product selection for you. 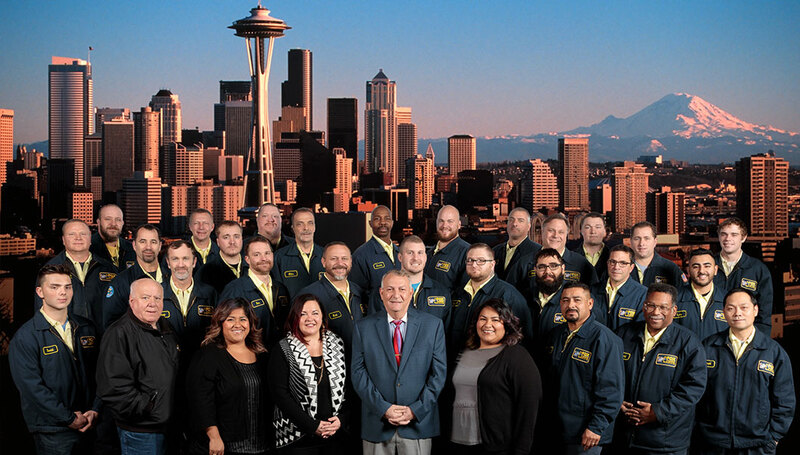 With 50 years of service to Seattle homes, you can count on our heating experts to be there for the life of your furnace, from the selection and purchase process, through installation, maintenance, and service. Older furnaces operate at efficiencies at or below 80%. If a furnace is only 80% efficient, that means $0.20 of each dollar of fuel used is not converted to heat and is wasted. New energy saving furnaces operate at up to 98% fuel efficiency, saving you money. 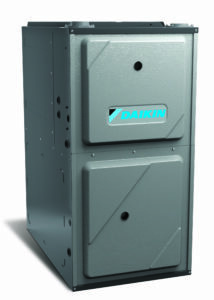 Modulating furnaces, such as the Daikin Unitary Gas Furnaces, work to continuously maintain the temperature in your house. They use less fuel because they are not stopping and starting all the time, and you will experience much greater comfort. The first is proper sizing of the furnace to fit your home, condo or townhouse and provide the right amount of heat. Sizing does not mean the dimensions of the furnace, but the output in BTUs of heat and capacity to send that heat through a house of your size. The standard measurement done to correctly size the furnace is part of the Washington State Code and required in order to get a permit for installation. The second is the energy efficiency of the furnace. Today’s furnaces have energy efficiencies from 80% up to 98% and in between. The higher efficiency furnaces (95% AFUE+) are more technologically advanced and more expensive, however, most PSE gas customers will qualify for utility rebates. The final one is the complexity of the installation and whether any additional components are needed for your system. The quality of the installation is very important in ensuring the proper performance of the furnace, delivery of the energy efficiency and wear of the parts. That’s why Fox’s Heating & Cooling team focuses on continuous training for furnace installation. WHAT MAINTENANCE WILL A GAS FURNACE REQUIRE? For Seattle homeowners who have gas, propane or oil furnaces, an annual furnace maintenance is recommended by all manufacturers, and is a standard best practice recommended by Energystar (EPA). Just like an oil change for your car, maintenance of your fuel burning furnace will keep that equipment in working order and maintain the energy efficiency of your furnace over time. WHY CHOOSE FOX TO INSTALL YOUR FURNACE? We’re Seattle and King County's #1 Most Trusted Local Plumbing & Heating Experts! 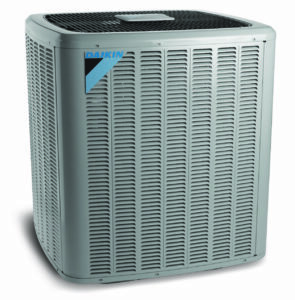 Fox’s Heating & Cooling team is manufacturer trained and committed to providing you the highest standard of care. They keep on top of furnace installation methods and furnace service needs with continuous training. Our Heating & Cooling Specialists are certified in all local and international mechanical codes.